As a follow-up to our Mother’s Day contest, we have partnered once again with AT&T for another giveaway, only this time we’re rewarding the fathers in the building. With Father’s Day approaching this weekend, we wanted to once again hand an LG Optimus G Pro to lucky DL reader. 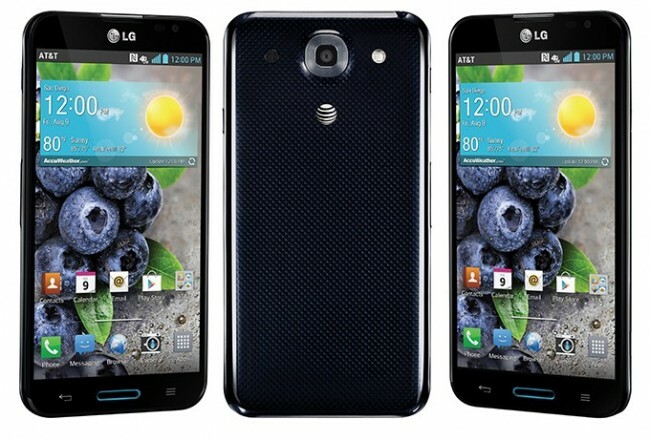 The Optimus G Pro is LG’s newest flagship, and is in the oversized phone business of competing with Samsung’s Galaxy Note 2. It runs a 1.7GHz quad-core processor, has a 5.5″ FHD (1080p, 400ppi) display, and an “advanced” 13MP camera on the backside. It also runs Android 4.1, can last all day on its 3140mAh battery, contains 32GB of internal storage (plus a microSD slot for expansion), and connects to AT&T’s extra speedy LTE network. It may not have an S Pen, but it has an advanced set of software features built specifically with a big screen in mind. You can buy the LG Optimus G pro from AT&T today for $199 on new contract. Who wants to win one? Update: Our winner has been picked! We will randomly choose a winner tomorrow at 9AM Pacific.